Like many of you, I try to write my blogs about things that are apparent in the lives of college students. In this blog I am going to focus on the idea of exercise as a form of stress relief. As college students in the midst of midterms, it is easy (and understandable) for us to spend all of our time studying and changing our schedule to accommodate our workload. We have all read different statistics about how much time we should spend on our class work and how much time we should set aside for non-academic related activities. However, I can’t help but wonder if those non-academic activities, namely exercise, cause us to perform better as students. After all, it’s nearly impossible to spend ALL of our time studying, even though we like to let our parents and professors think that. In a article from Health Guide, various benefits of exercise are listed. They report that exercising not only benefits your physical well-being, but also your mental well-being. Exercising allows a person to take control of their stress or anxiety, or merely distract them from it for a short time. 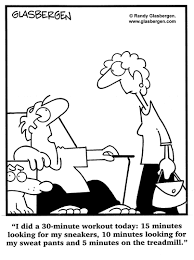 They report that exercise releases endorphins that, in short, provide energy and a greater ability to concentrate. Endorphins are neurotransmitters, which transmit electrical signals to the nervous system. In this article, it discusses how endorphins interact with opiate receptors in the brain and reduce our levels of pain. The term opiate may sound familiar in regards to drugs and addiction, but in this sense endorphins are not addictive. However, even though drugs are not used in this case, a similar euphoria can be reached through the release of endorphins. This is referred to as a “runner’s high”. This shows that exercise, and subsequently endorphins, is a healthy way of dealing with stress as opposed to finding relief in drugs or alcohol. The same “painless” feeling can be reached, but there are other numerous benefits from this form of stress relief. So how does exercise actually affect us as students? The Mayo Clinic lists various ways exercise can be beneficial to anyone, but as you are about to see, it can certainly have an effect on us as college students. Exercise controls weight. This is an incredibly well-known fact, but we have to fight the Freshman 15 somehow, right? Exercise combats health conditions and diseases. Not only can exercise help prevent things such as a stroke, various types of cancer, and diabetes, but it can also help keeps our cardiovascular system healthy, therefore, keeping us generally healthy. Can’t be a good student if you’re stuck in your room with a sickness! Exercise improves mood. Bringing back the endorphin topic, exercise can make you generally happier and relaxed, allowing you to perform better academically. Exercise boots energy. By improving our cardiovascular system and delivering oxygen to our tissue, exercise gives us an energy boost to get through a tough day, or even a tough week. Exercise promotes better sleep. Regular exercise can help a person fall asleep faster and sleep deeper. What college student doesn’t like sleep? All in all, if you don’t want to exercise for the sheer fact that it takes time out of your day or that you don’t think you are the “athletic type”, remember that even the slightest bit of exercise, such as taking the stairs or the long way back to your dorm, can have multiple positive effects on your life and your grades as well! Just think about stimulating your entire body as well as your brain! Exercise equals endorphins and endorphins equal happiness and concentration, the two of the things college students struggle with the most! This entry was posted in Uncategorized on October 13, 2015 by Shannon McClain. This is a great topic to write about amongst college students because it is one of the things we struggle with the most. Exercise at college is definitely important, not only physically but for one’s mental health also. As college students, we are a burdened with different kinds of stress each and everyday. As someone who suffers from anxiety day, I can say going to the gym and exercising does help with overall stress and anxiety levels. I also can agree with the endorphins you mentioned above because there are endorphins released into the body when you are exercising and often times, they are happy or relaxing endorphins which is always important. This was an interesting topic. The way you proposed and supported possible mechanisms for why exercise can improve school performance is excellent, however, I wanted to investigate more and see if there actually is a correlation found between people who exercise more and increased school performance. This observational study by Purdue University found a correlation between frequency of students going to the gym and their grade point averages. Researchers found that students who visited the gym more often tended to have higher grade point averages. While this data is consistent with your hypothesis that exercise is linked to better school performance, there are some things we must be wary of. First of all, it is possible that a confounding variable is causing students to both exercise and do well in school. Such a variable might be that the students who eat healthier tend to exercise more and do better in school. Also, this entire line of research could suffer from the file drawer problem, in that all of the studies that found no correlation between these two variables were not published. Even so, the evidence supports the alternative hypothesis that exercising does have a beneficial effect on academic performance. So, we should apply what we’ve learned in class, and decide that even if exercise doesn’t affect grades, we should exercise anyway in case it actually can improve our grades (and because it’s good for us! ).